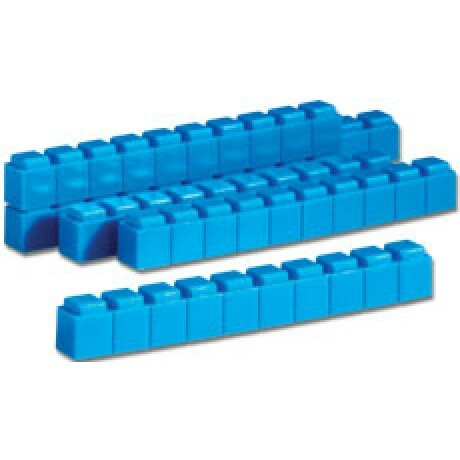 Description:This unique set of 50 base ten rods conveniently interlocks to clarify place value, estimation and operations concepts by enabling students to manipulate and visualize varying quantities with ease.More advanced students can explore spatial relationships and volume. Plastic 1 x 1 x 10 cm rods are washable and durable for years of hands-on activities. Use with Interlocking Base Ten Units, Flats and Cube.